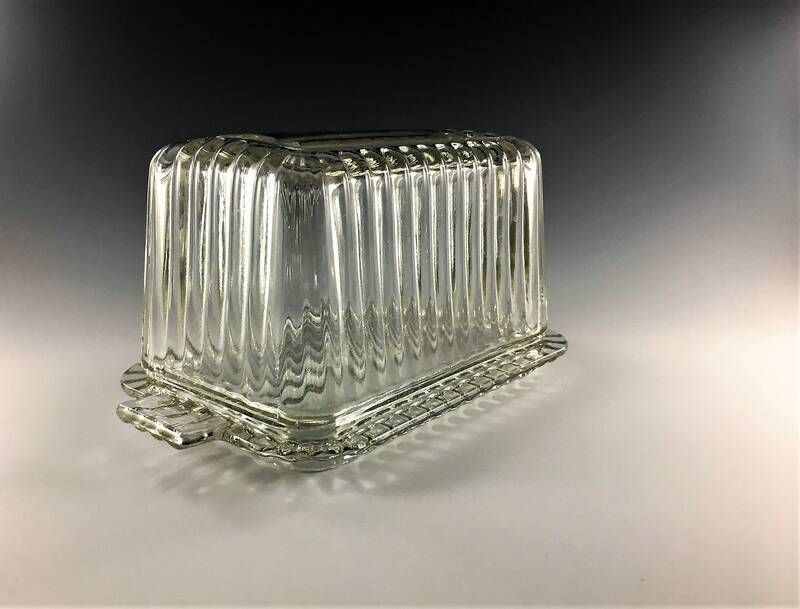 Featured is a vintage clear glass covered butter dish from the Hocking Glass Company. 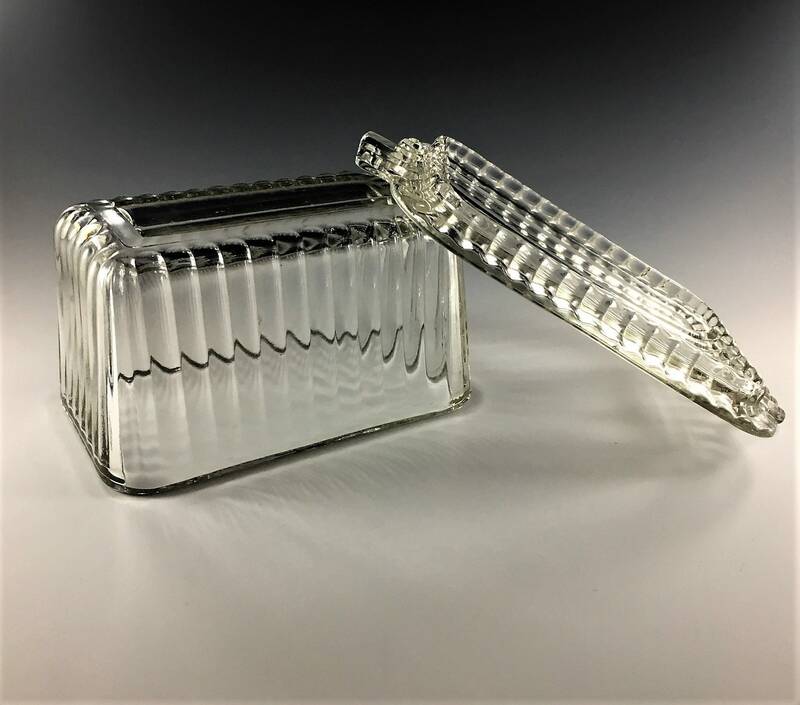 This Depression Era piece measures about 4 inches tall and the plate or bottom is about 7 1/2 inches by 4 1/2 inches. 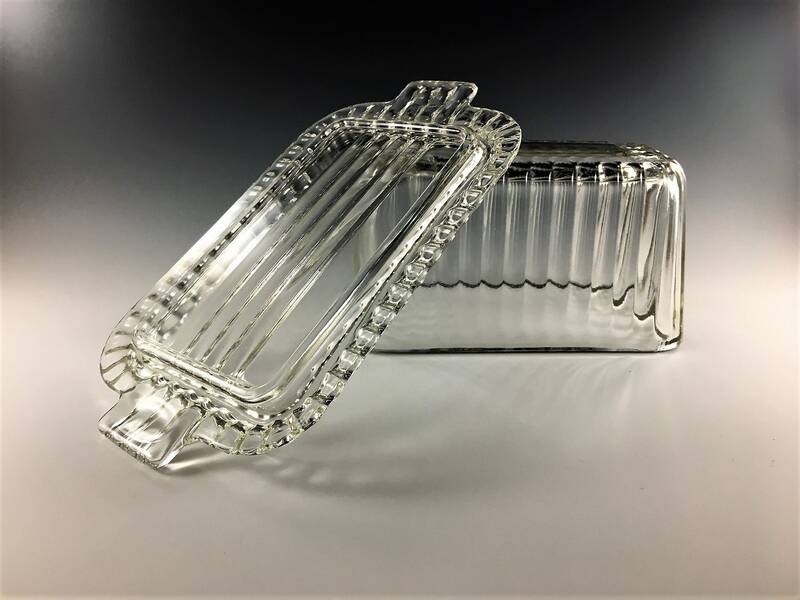 This popular piece was recently released again by Anchor Hocking and can be found at many of the big box stores for about $20. 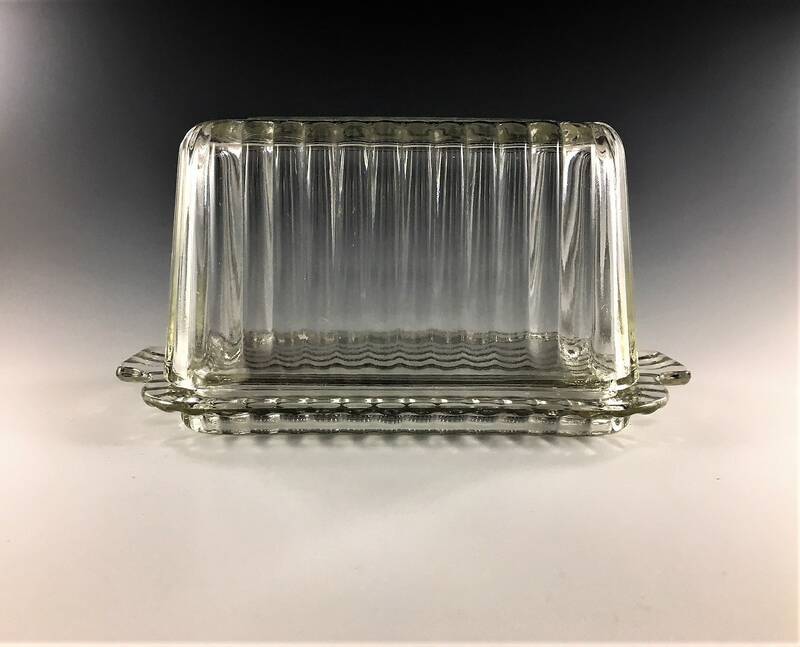 This vintage piece is distinguished by its ribbed under plate and the absence of the new Anchor Hocking trademark. Excellent condition with no chips or cracks. Love this -- and it arrived in perfect condition, very well packaged. Thank you!